How many times have I written in this space about my struggles to come up with the right words to talk to Quinn about cancer? A dozen? Fifty? Do those words even exist? Someday, I will open up to him about the extent of what we thought we were going through and about the trauma we did actually endure. He knows bits and pieces. Someday, I will tell him everything. He is old enough now to be embarrassed when I talk about breast cancer with others around him. He whispered, “Mom, can you please stop?” when I was talking about the last few years with a new friend – the mom of one of his friends – recently. “Is it because of the word breast?” I asked him. “No, it’s just embarrassing,” he said in the way that kids eventually do about their parents’ actions and stories, and I wonder if he knows what embarrassing really means. But, he is already rolling his eyes at me here and there, so I think that he does. In any case, it makes him uncomfortable to hear me retell my cancer story, at least where someone else, like his friends, might overhear. Wait until he finds out about this blog. Navigating cancer treatments with kids at home, and more importantly, figuring out how to keep discussions with them (or conversations when they’re in earshot) age-appropriate is a tricky business. Is a precocious 3-year-old ready for the same information as a more mature and worldly 7-year-old? And, what I always struggled with when I was in treatment and thought my disease was terminal, how do you maintain your child’s innocence and tell him or her you might be dying? I still don’t know all of the answers about talking to kids about cancer or death, but I have a few. What rang true again and again in our family was share age appropriate truth, but don’t overshare. a. For example, when I was in treatment, Quinn was very young. When he was a toddler, I told him mommy was sick and needed medicine to make her better. But I did not tell him I might die of my sickness. It wasn’t imminent, and I didn’t feel the need to scare him more than necessary. Only answer their specific questions. a. When Quinn wanted to know why I was losing my hair, I told him the medicine was hurting the cancer inside me, but also sometimes hurt my regular cells, including my hair. Related: be careful with your language. I didn’t expand to say how terrible I felt or use the word “killing” to explain how chemo was working. I read to him from pamphlets I picked up at the hospital or books about his love being my best medicine. What all of these lacked, though, was what happened if mommy didn’t get better. I kept that dark knowledge to myself, and – as I’ve documented again and again – cried next to him after the lights went out. What I wish I’d had in my toolbox is a more interactive and educational way to discuss cancer with Quinn. And now that he doesn’t want to hear about it, I do. 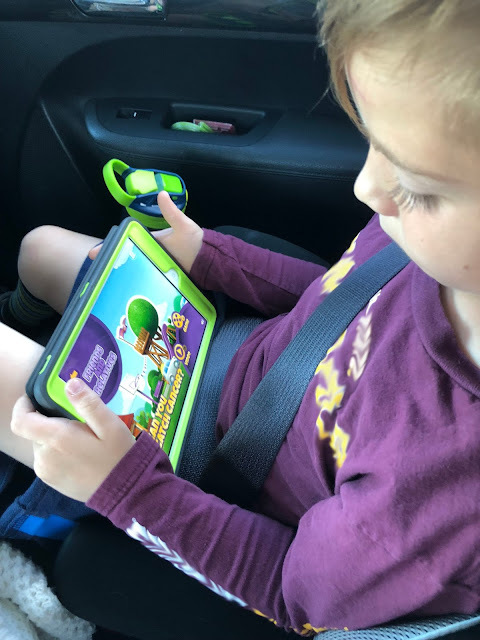 Celgene has developed a new app, The Magic Tree, with short videos, a resource library for parents and cooperative games that earn decorations for the in-app tree. 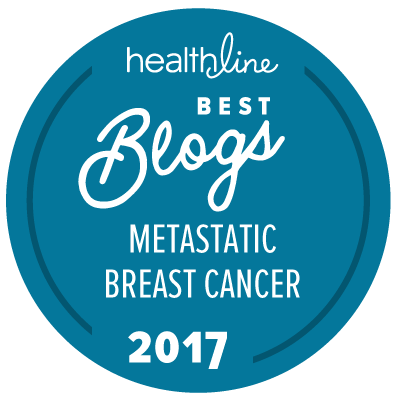 You can find links to download it on their web site http://magictreebreastcancer.com. Quinn is a big fan of the games. One seems rooted in curling, the winter sport that – in our household – was a highlight of the recent Olympics. We played this game on a recent car trip giggling as we tried to push each other’s coins off a floating, spinning slice of tree trunk that sometimes has frogs on it who get in the way. “Silly frogs!” we joked. This cooperative game comes under the “Is It My Fault?” section, and I thought it was a brilliant idea to have something where parent and child can play together just after a video explaining it is absolutely not the child’s fault his mom got cancer. There is a lot of wonderful animation that will appeal to kids as they learn about chemotherapy, biopsies, baldness, radiation and side effects in a non-scary way. It offers prompts for kids to talk about their feelings or any questions they might have with their parents or other family members. It does not leave out metastases, but keeps the discussion of it short and matter-of-fact. Videos are all around two minutes long, so will hold this age group’s attention span. The app is aimed at children aged 5-8, so it would have probably missed the mark when Quinn was a toddler and could have benefited from a tool like this. I also noticed only traditional nuclear families are pictured, and it is only aimed at moms who get breast cancer (despite the fact that, while rare, men get breast cancer, too). Even though I’m not in treatment for cancer anymore, I’m going to keep using The Magic Tree with Quinn to prompt our discussions of cancer, to help us both process what our family went through.